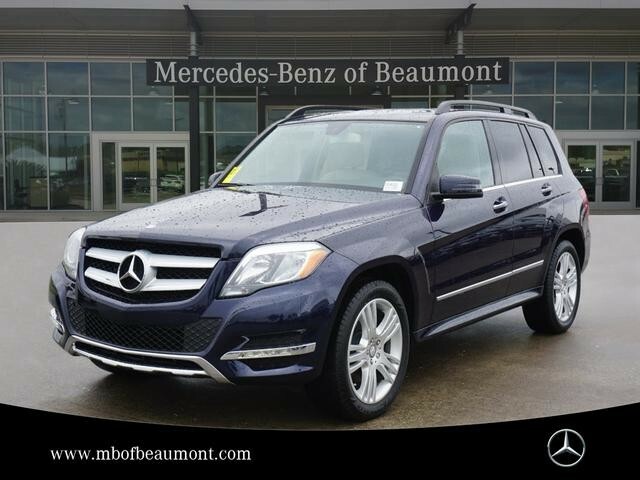 We are excited to offer this 2015 Mercedes-Benz GLK-Class. When you purchase a vehicle with the CARFAX Buyback Guarantee, you're getting what you paid for. This Mercedes-Benz GLK-Class GLK 350 is an incredibly versatile vehicle that is a must have for any family. The incredibly low mileage and painstaking upkeep on this Mercedes-Benz GLK-Class makes it a once-in-a-lifetime deal that won't last long! Call us today to reserve your test drive! More information about the 2015 Mercedes-Benz GLK-Class: The 2015 Mercedes-Benz GLK-Class borrows the appearance of the automaker's larger sport-utility vehicles but is actually a very manageable size for city-dwellers. The GLK-Class has a powerful 302-horsepower V6, car-like independent suspension and upright 8-way power-adjustable seating, featuring a decidedly car-like experience. Twenty-three cubic-feet of cargo space in back means the GLK is practical as well. Fold the rear seat down and that space more than doubles, to 54 cubic feet. Available 4MATIC® 4-wheel drive provides all-weather sure-footedness. Starting price on the GLK-Class is under $39,000. This model sets itself apart with Manageable size and maneuverability, diesel availability, strong acceleration, interior space, and available 4-wheel drive We look forward to seeing you soon! Please call us for more information.